We have to be careful with all the counterfeit honey on the market. Many contend that they are 100% pure, but after being tested against honey purity standards, they are simply a watered-down version of raw honey. Consumers are clamoring for the real deal. That is raw honey with all the added health benefits. Regardless of this demand, you will have to be living in Europe or South Florida to have a chance of getting this rare commodity. 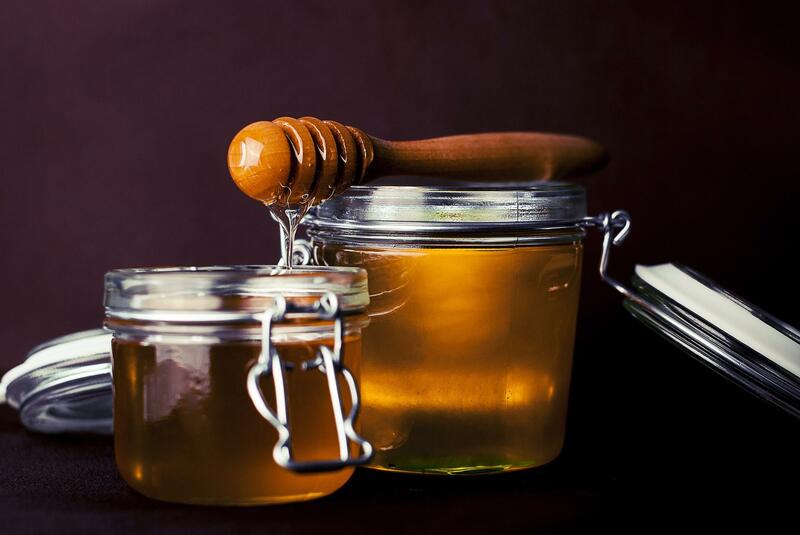 There is a multiplicity of honey on the market in addition to an array of sugar syrups or further ingredients that dishonest honey bottlers dilute it with. This makes it super hard to choose one way by which you can successfully differentiate between fake honey and organic honey. So, we provided a number of ways that you could check to see if your pure honey is indeed natural honey. When you visit the store, hold up the bottle and examine it closely. Make sure you have an idea of what are your regions standards for the honey. In some countries, additional substances must be mentioned on the label. While there are some countries that have no honey standard regulation at all. Nor ways of enforcing the guidelines if they do have them. In Europe, the laws require that any honey distributed for commercial sale must have no additives. That includes whatever antibiotics they used to treat their bee population. If the taste of the honey is altered, then it cannot be categorized as raw honey or pure honey. It must be termed as “baker’s honey.” And those categories of honey is used in processed food. However, over in the United States of America, the same standards do not exist. The guidelines are completely the opposite. There can be antibiotics and even if the bottle has a USDA logo, the honey might not be pure and without additives. But Florida stands on its own. And for these products, the law does not pertain to them. So carefully read the label. And, even so, that is not a guarantee that additives were not included. Find out if you can have a sample test if it is available. However, keep in mind that tasting is not a foolproof way of determining the quality or purity of honey. If all you want to know is whether it will taste the same, then get a sample. Also, a weird tasting honey is not typically a batch that has additives. The taste of the raw honey can differ because of the type of flower that contributed to the nectar production. It can also be attributed to the sap-eating insects’ secretions. External factors can alter the taste of one honey bee hive’s produce, in alternating years. Because bees get their nectar from different sources. But don’t expect a store to allow you to open a jar or bottle for a taste test though. And you can’t insist if a sample is not provided. Know that the tests might not be 100% precise. The honey’s magnificent, scrumptious flavor will fight against you sometimes when you are trying to conduct a serious honey purity standard test. Honey comes in a variety of flammability, density and has many characteristics. It is best to conduct more than one test on any batch of honey. Put a spoonful of honey in a clear glass of warm water. You can choose to mix it or not. If you choose not to that is the best course. Why? Because pure honey will stay a lump and sink to the bottom. 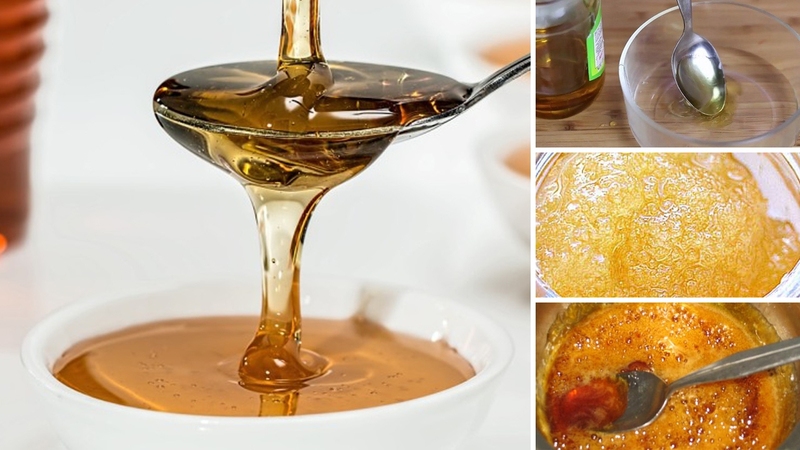 However, the honey with additives like sugar syrup, it will liquefy in the water. Light a piece of a cotton pad the wick of a candle that has been dipped in honey. This test will identify if water has been added to the organic honey. And if it is, the honey will not burn easily. Douse the cotton pad or the candle cotton wick of in honey and remove the excess. Get a lighter or matchstick and light it up, put the fire to the cotton and see if it is consumed by the fire. Added water will hamper the burning and a cracking sound indicates water some amount of water might be included in the mixture. Place a dapple of honey on a piece of paper towel. A wet mark will show on the other side if the water was added to the natural honey. Though this is a good test for finding out if the water was added, it is not so for syrup. These, too, will not be absorbed in the paper, just as natural honey won’t be. So the onus is on you to test your honey and check for purity. But if you are in Europe, you have a stronger possibility of easily identifying pure honey, with no additives. Regardless, any measure of honey is good for the body. The number of benefits derived from this product is well worth it. You can look into how to raise your own honeybees, for a more natural honey experience.